There’s a spike in reported burglaries during the summer holiday period every year. Many homes are unoccupied as we retreat to the beaches, there’s a fair chance of finding rich pickings after Christmas, and, even when home, we leave windows and doors open to take advantage of warm weather. A burglar, whether opportunistic or prepared, has it good around this time. So this holiday season I installed a suite of Nest security cameras. Would they be a real deterrent or just make me feel more secure? I set up a Nest Cam Outdoor ($359) on my rear deck, a Nest Cam Indoor ($359) in my garage, and a Nest Cam IQ Indoor ($549) in my family room. They all linked to an app on my phone and to a personal Nest web page. 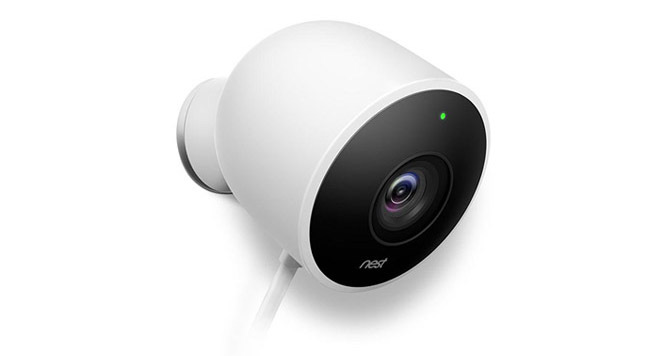 Nest WiFi-connected cameras monitor for motion and sound and record high-quality video to the cloud. Their “sell” is that recording someone in your house won’t necessarily stop them stealing your stuff, but by sending an instant notification to your phone, you can shout at an intruder through the camera, which may scare them off. The knowledge they are being recorded may also deter them and should help Police track the scumbag down and get your things back. I already have an ADT alarm at home with 3 motion sensors and remote monitoring. That doesn’t have cameras, but when triggered I get a low-tech notification (a phone call to my mobile) and a follow-up visit from a security guard if needed (who will likely arrive far too late to do anything but confirm a break-in has happened). The Nest “sell” has a lot of ifs and maybes, but then my externally monitored alarm is probably no better as a deterrent and no help in getting property back once it’s gone. Nest Cam or Nest Cam IQ? What do you get with the IQ Indoor camera for an extra $190 over the regular Nest Cam Indoor? 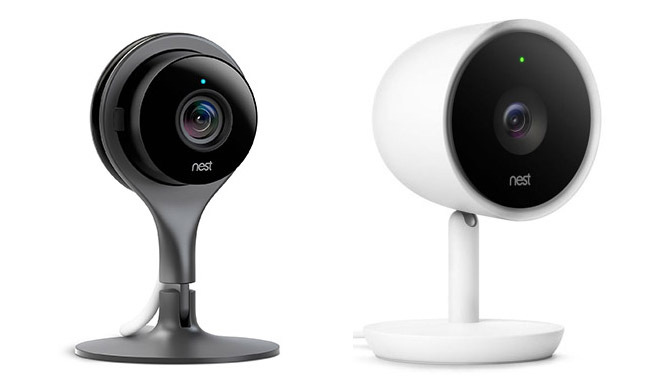 The regular Nest Cam records a 130° wide-angle view in full 1080 HD. The video quality is very good – detailed enough to recognise faces and capture detail in the room. They suffer from some sun flaring, but no worse than any other camera I’ve tried – it’s worth thinking about where you position your cameras to reduce sun strike. The night vision mode works well too, capturing images with that characteristic flat greenish night vision glow, but with enough detail to render people recognisable. The IQ Cam takes image quality up a notch with a 4K sensor and HDR. While it records an HD picture, the more detailed sensor lets it zoom in on specific areas with no loss of image quality, which it does automatically when it detects people. It displays picture-in-picture following a person around, zoomed in, as they walk across the room. You can zoom in on images from the regular Nest Cam too, but, as with all digital zooms, the image quality suffers. The extra depth of the 4K sensor on the IQ Cam maintains HD image quality when zoomed. The IQ Cam also has a better-quality microphone, with noise cancellation and a much louder speaker (Nest claims it’s 7 times louder than the Cam). Install was easy. I scanned a QR code on each camera with my phone and connected them (first time) to my WiFi network. The cameras are mains-powered, which gets over the problem of batteries running out but limits where you put them. It’s particularly annoying for the outdoor camera – you either use an outdoor power socket or drill through to an indoor one. The cameras have magnetic bases and discrete metal mounting brackets. Once mounted, the magnets hold them firmly in place. In use, the Nest Cams don’t record unless triggered by motion or loud noises (unless you have a Nest Aware subscription). When triggered, the cameras record incidents and send a notification to your mobile device. Images from the incidents are available in the app for 3 hours. You can set up multiple devices, so everyone in the family can access camera feeds and get notifications. You also get notified when the camera loses power or its cloud connection. The cameras were sensitive to sound and motion and quickly sent notifications to my phone when they detected an “incident”, such as someone entering the room or a door slamming in the wind. However, I also got multiple daily false alarms from sunshine or car headlights glowing through the garage windows and moths and flies lit up by the camera’s “night mode”. You can turn off notifications by setting when your home is unoccupied. That works automatically using your mobile device location or you can set it manually with a calendar. It took me a few days to get notifications tuned so my phone wasn’t buzzing every half hour. It wasn’t perfect though, as I couldn’t account for the comings and goings of my non-smartphone-connected kids and in-laws. The Nest app or website can be used to view live video and hear sound. You use the Nest app or website to view live video and hear sound. 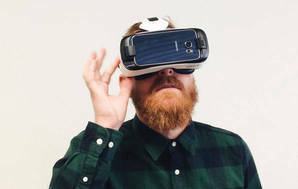 You can also broadcast through a speaker in the camera – hence the idea that you get a notification, go to a live view, see someone in your house, and scare them off by shouting at them. The app connected live to a camera with a just a slight delay, though it buffered on a 3G signal. The sound broadcast through the speaker and recorded by the microphone was clear, though the speaker on the Nest Cam could be louder. To make full use of the cameras and record incidents and history, you need to subscribe to the additional Nest Aware service. This records continuously and saves your video history to the cloud. You pay a subscription: $16 each month (or $160 each year) for 10-day video history or $34 each month ($340 each year) for 30 days. Monitoring for my ADT alarm, in comparison, costs $42 each month. Signing up to Nest Aware also unlocks more features for the cameras. It adds capability to differentiate between motion and people by applying clever algorithms to your cloud video. For the IQ camera, you can add faces to a list of “known people”, so you can set notifications only if motion is detected by an unknown person. You can also set zones for each camera, so you can highlight a door, for example, and only receive notifications for motion in that zone, which greatly reduces false alarm notifications. 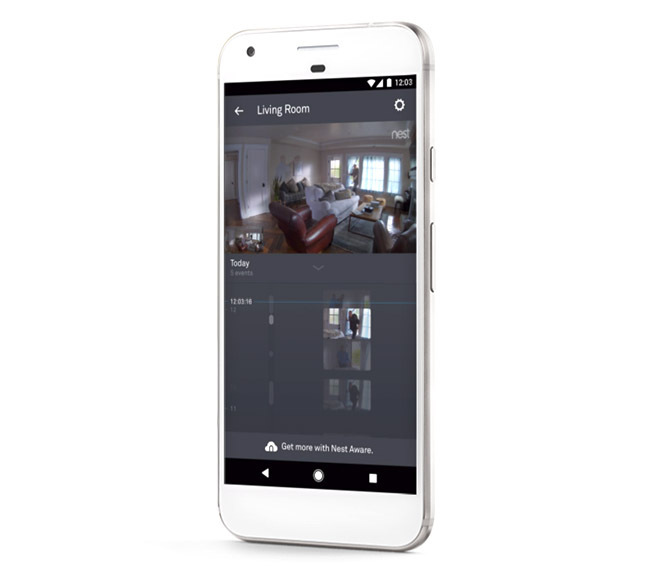 With the Nest Aware service enabled, the app and website show a timeline for each camera with photos of each incident detected. The app and website interfaces, in general, were a pleasure to use. For Nest cameras to work effectively, you need decent broadband speed and an unlimited data plan. Nest says each HD camera will use up to 1.2Mbps of bandwidth (and up to 4.0Mbps on the highest quality setting of the IQ Cam), and recording continuously will use up to 300GB of data each month (400GB for the IQ Cam). For my triple-camera set-up, that’s up to 6.4Mbps upload bandwidth and 1000GB of data every month. So beware if you have a pokey old ADSL connection, or even slow VDSL, and limited data. The cameras automatically reduce image quality if you have a slower connection. 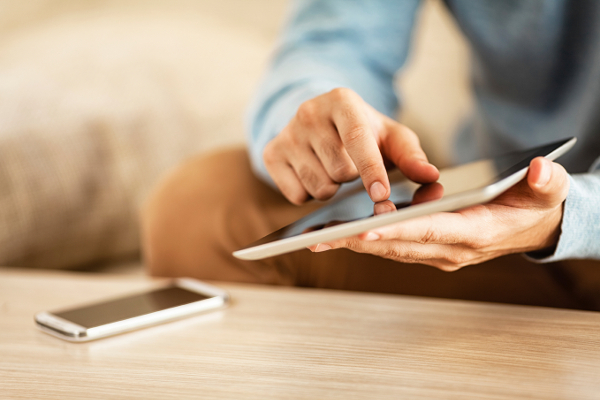 Using your mobile device to view live video or recorded incidents will chew through your data plan very quickly. Using the cameras isn’t limited to security – they open up a whole new world of home surveillance: you can tell Fido to get off the sofa, see your kids raiding the biscuits after school, or check if the babysitter is behaving on Friday night. A couple of days into the trial, my 11-year-old daughter asked, “Dad, when are you getting rid of those creepy cameras?” I could see her point. During the trial, I got concerned about the data I was sending through to Nest. It knew when my home was unoccupied, was keeping tabs on my location through my phone, had a continuous stream of everything going on in my house, and was learning what my friends and family looked like. Nest encrypts everything sent to its servers with 128-bit security, and says it respects privacy and doesn’t share any sound or images outside of Nest (not even within Google, its parent company). Personally, I’m not so trusting of corporations to look after my well-being, or so naive to think everything is secure to hacks. Call me paranoid, but Big Brother could be watching, and I’d not just invited him into my home, I’d put on a lovely spread too. Now my trial is over, I’ve removed all but one of the cameras. I just don’t think the trade-off in peace of mind against privacy is worth it. Perhaps if I’d foiled an attempted burglary during the trial I’d feel differently. But then, in 10 years of the monitored ADT alarm I’ve never been burgled. It could be that works just as well as the high-tech Nest solution, or maybe I’ve been lucky. I have kept the Nest camera in my garage, though. That’s a location that contains several thousand dollars’ worth of bikes and tools, and is easily neglected even when someone’s at home. I’ve got much less concern about privacy with the footage recorded there, and the peace of mind of having a camera and live notifications feels more worthwhile. These cameras were loaned to the writer by Nest.